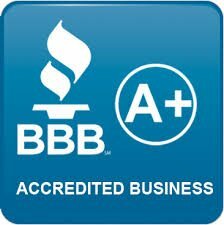 We Have Been Helping Homeowners Throughout Central Florida And We Want To Help You Too! Turn Your Unwanted House Into Cash Now! 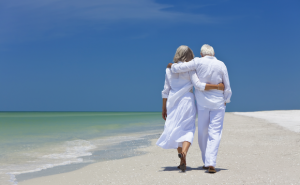 Imagine being able to say goodbye to a burdensome house quickly and easily. Not every house is cut out for the MLS and because of this, we founded our company. You don’t have to lose your house to the banks or spend money making repairs on a house you don’t want. We take care of everything. You can sit back, relax and wait for your closing without having to worry about any stress or hassle. We will handle the paperwork, the repairs and everything that goes along with selling. All you need to do is pack up anything you wish to keep and take it with you. We make things as simple as possible so you can enjoy a stress-free process. Listing requires many expenses you might not have considered. Aside from commissions and repairs, there are marketing fees, closing costs, cleaning, landscaping and all kinds things you will end up paying for while your home is on the market. With a direct sale to Fair Home Offers, you don’t need to worry about any of these costs. We want you to move when you are ready and not a day sooner. If you accept our offer, you will choose the closing date that works best for you. We are ready to close on your house in only a matter of days, but if you need more time, we are happy to wait as long as you need to close. We don’t care about the condition of the house. We will buy your property no matter what shape it’s in. You don’t have to worry about making any repairs or upgrades to the house. We love fixer-upper properties and want to buy your home no matter what condition it’s in. As Florida natives, we got into this business because we got tired of seeing our friend and neighbors waste time trying to list, while a major opportunity passed them by. We saw other lose their homes to the bank after spending thousands on their mortgage over the years. Peaople need options when it’s time to sell. For many people, a direct sale simply make more sense. 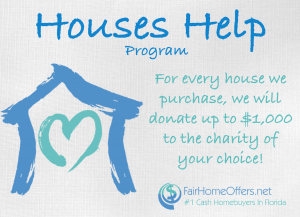 At Fair Home Offers, our number one goal is helping our fellow Floridian’s when they need to sell their homes. We will always respect your privacy and never hassle you about a sale. We will let you know what we can offer and leave it up to you how you want to sell. You have options when selling a Winter Park house! Once we get your property information, we are able to get started right away. We will research your property and run a CMA against other properties in the area. We will always pay you the best price possible for your home. By avoiding agents, banks and the typical red tape, everyone is able to save money during the transaction. You chose the closing date. Whether you need days or weeks or months, we got you covered. Selling, moving and everything that comes along with it can be a lot of work. We will not rush you into a closing or make you wait for your cash. Whenever you are ready to close, we will be ready too. The closing itself is an extremely simple process. As direct buyers, with funding in place to buy your house, we are able to make the transaction super simple. You can come into our office and leave with a check 10 minutes later. If you are out of town, we can do the whole thing via overnight mail. Of course, we will pick up the cost. Many people believe that the only way to sell is by using an agent and a listing on the MLS. For many houses, this is a waste of time.Not all properties are designed for the MLS. The property will need to be competitive and in good shape to do well. If you own a rundown or burdensome property, you might find yourself waiting a long time for a sale. By utilizing a direct sale, you will save yourself all the trouble. You will know your closing price and date from day one. You don’t have to worry about the sale falling through or having to pay anything out of pocket in order to sell. Fair Home Offers is buying houses in Winter Park now. If you are ready to sell, fill out the form below or give our office a call today!